Welcome to our ABI BROCKENHURST 2015, 8 berth caravan on Conwy 118 available to hire. We welcome your pets, but there is an additional £25 charge per pet. NO SMOKING OR VAPOURING ALLOWED- deposit retained if evident. Our caravan is double glazed , has 3 bedrooms (1 double bedroon and 2 twin rooms with 2 single beds in each). 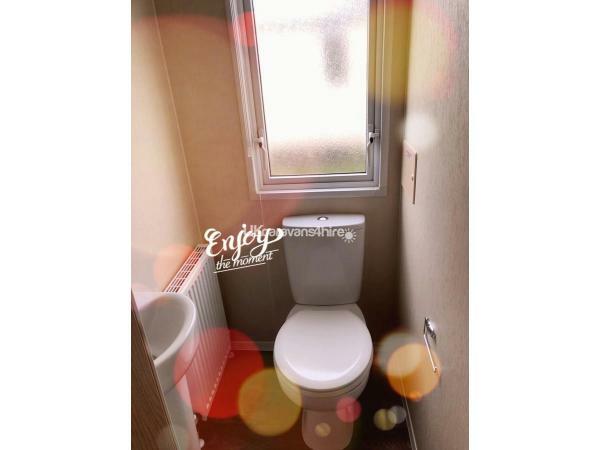 All have combi tv/DVD, and thermostatic controlled radiators. Central heating plus a pull-out double bed in the lounge area. There are two bathrooms (1 bathroom has a walk-in shower). Kitchen area has a gas cooker, microwave, toaster, toasted sandwich maker, integrated large fridge/freezer plus dining table and chairs. There is an iron plus ironing board, and vacuum available for your convenience. Duvets and pillows are provided. We ask that they remain in the caravan and not taken outside to lie on the grass with. Bed linen or towels are not provided, so you will need to bring your own. . WiFi available £20. Travel cot and highchair also provided. Gas and electricity are included in the price of your stay. Smoke alarms plus fire extinguisher and carbon dioxide monitor are all provided for your safety. A lounge area for you to relax with a 32inch flat screen combi TV/DVD plus a white coal effect electric fire. Books and games are also provided for your family enjoyment, we ask that you take care of everything that is provided for you please. Lockable patio doors lead out onto a small patio balcony for your relaxation with a glass bistro table with chairs to admire the beautiful welsh hills of Gronant. There is a wooden patio table outside of the caravan for you to enjoy the sunshine plus a parasol for you to use on the patio table. Situated close to the Funworks Entertainment complex and the beautiful sandy beach which can be accessed via wooden decked pathways through the sand dunes. To use the Funworks complex and swimming pool passes have to be purchased from site reception on your arrival. There are play facilities, go-karts, donkeys, bikes available on site for your family enjoyment. Why not come along and see for yourself, you won't be disappointed! Although the site facilities close Nov to Jan our caravan is available to hire from end of October until January, There are plenty of shops, pubs and cafes off site in Prestatyn, Rhyl and Flint. Additional Info: To use the entertainment complex passes need to be purchased from site reception. NOT INCLUDED IN YOUR HOLIDAY PRICE. Beach a short walk away along wooden decked paths through the sand dunes. Beautiful sandy beach. An absolutely beautiful caravan, lovely and modern. There was everything you could possibly need for a comfortable stay. Plenty of room, outside seating to enjoy the sunshine and TVs in all rooms, not that we got to use them as we had that much fun we couldn’t keep our eyes open lol. Lots to keep children occupied also ie, books, games, dvds ect. The booking process was a complete breeze and Michelle was always at hand whenever I had a query. Will definitely be visiting again. Came here for a short break and we were not disappointed. 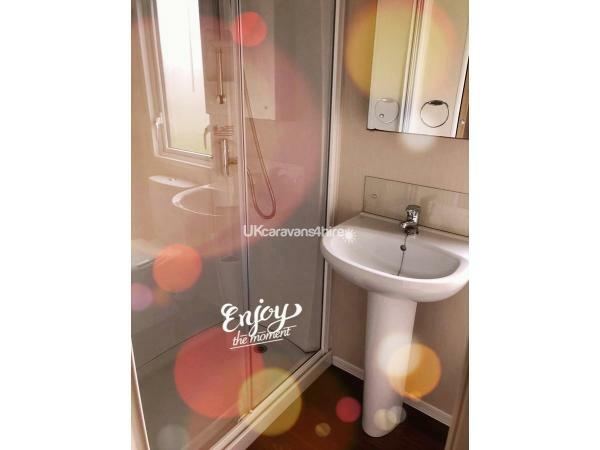 The caravan itself was spotless and the facilities inside were excellent. It was in a good position for both the beach and the main complex. The booking process was pain free, a miracle considering we gave less than 24 hours notice. 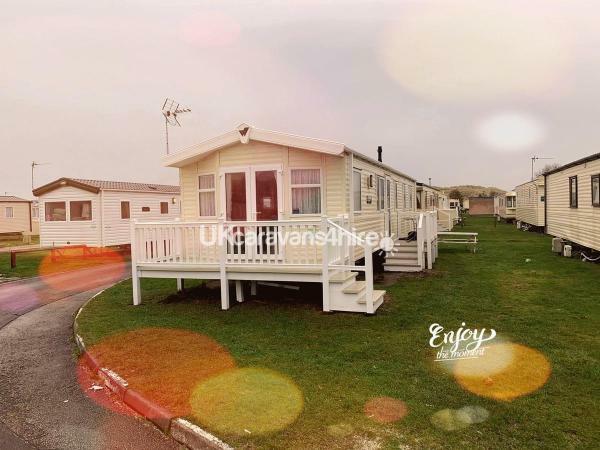 The owners were on hand at any time by phone should you have any problems(which we didn't).I would have no hesitation to recommend this caravan to everyone and would re-book in a heartbeat should we ever return to Prestatyn. Had a brilliant time, from making the enquiry it was a pleasure to hire from this owner, everything dealt with in a professional manner. Looking forward to our stay again in August 2016 in their new caravan. I have three children with different needs and we were accommodated well, site is fantastic too. Thank you Michelle and Tony for letting us stay. 100% recommendation.